The IAIB is seeking self-motivated writers who are well versed in internet broadcasting and podcasting related topics, including but not limited to, podcasting technology, distribution and marketing. Our writers must be comfortable with accepting assigned topics that may require research as well as covering all related internet broadcasting news. The ideal candidate will have the ability to write in a voice that is easy to read and understand by novices and professional broadcasters alike. Candidates must be able to write in a smart and authoritative style, and have excellent grammar and attention to detail. Basic SEO knowledge is a plus, but not a deal breaker. Writers will be paid on a per article/blog basis and must commit to a consistent posting schedule. All posts will include the writer’s byline and a link to their bio on the IAIB website. 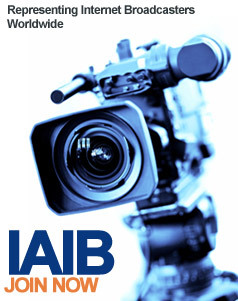 If you think you have what it takes to be an IAIB blogger and would like to apply for a position, please contact us.